Betway Power surged ahead in the semifinal series versus JKL Dolphins. Strangely JKL Dolphins outrebounded Betway Power 53-32 including a 23-5 advantage in offensive rebounds. Worth to mention a great performance of the former international forward Joseph Ikong (193-85) who helped to win the game recording 11 points and 7 assists. 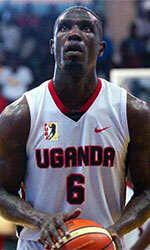 Guard Paul Odong (-91) contributed with 10 points and 8 assists for the winners. Five Betway Power players scored in double figures. Swingman Brian Namake (-90) answered with a double-double by scoring 17 points and 13 rebounds and guard Patrick Nininanzwe (-97) added 13 points and 8 rebounds in the effort for JKL Dolphins. Both coaches used bench players which allowed the starters a little rest for the next games. KIU Titans outscored City Oilers in the opener. Worth to mention a great performance of DR Congolese forward Denis Balungu (-95) who helped to win the game recording 21 points. 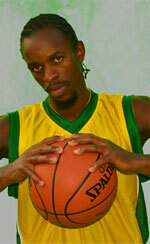 DR Congolese guard Micheal Bwanga contributed with 15 points, 6 rebounds and 4 assists for the winners. Four KIU Titans players scored in double figures. The former international point guard Jimmy Enabu (187-88) answered with 13 points and 5 assists and Burundian forward Landry Ndikumana (198-95) added 9 points and 10 rebounds in the effort for City Oilers. The winner was already known earlier in the game, so both coaches allowed to play the bench players saving starting five for next games.